In the last few months there has been a lot of talk about raising rents in the prime shopping locations of Dublin in particular Dundrum Shopping Centre and in around Grafton Street. Retailers have had to take on the challenge of paying even higher rents to secure premium locations to showcase their products. With the increase in internet shopping, especially with the weaken pound, it has been increasingly important for retailers to make physical shopping an enjoyable experience. The good news for tenants are there are some interesting schemes being constructed in and around Grafton Street. This will provide variety and quality for potential new players. There has been some rumours that following BREXIT that some UK retailers had been re-considering their plans in Ireland, especially those yet to enter the Irish market. However, some five months on since the referendum trade has very much continued as it always has. With the premium quality new builds close to Grafton Street, we can expect to see some interesting new offerings entering the Dublin market. Opportunities for retailers looking to set up in — and even around — Dublin’s established shopping core of Grafton Street have been thin on the ground of late. As a result, the market keenly awaits a number of new schemes under construction or in the planning stages on the neighbouring streets. 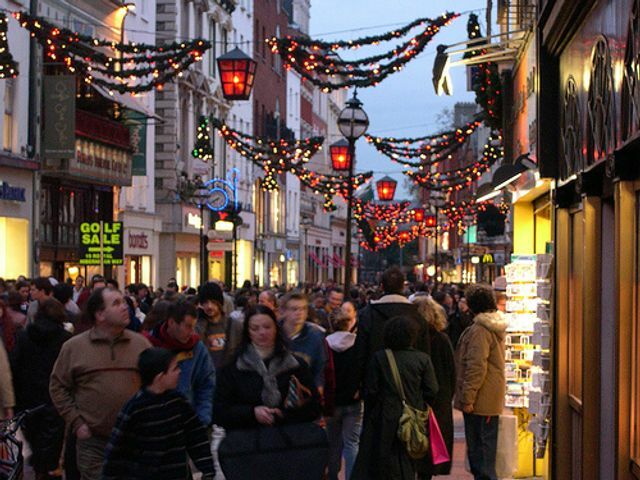 Grafton Street has traditionally been the preferred location for many big name brands entering the Irish market, though lack of space and rapidly rising rents are a challenge. According to a recent Knight Frank report, zone A rents on the street have risen by 25% over the past year to €6,500 per sq m.